The Tishomingo County Sheriff’s Office would like to announce a new member to the department, K9 “Myra”. Tishomingo County Sheriff’s deputy, Thomas MyNatt was chosen by Sheriff Daugherty to be the departments new K9 handler. Deputy MyNatt went through 4 weeks of training at Custom Canine Unlimited, in Maysville Georgia. Once there, Deputy MyNatt was paired with “Myra” where they began training together both in classroom and practical trials, where each one was graded on their performance. “Myra” is a 16-month-old female European Import German Shephard. She is trained in detection of narcotics and also human tracking. Once Deputy MyNatt graduated, he and “Myra” arrived home and began working immediately. 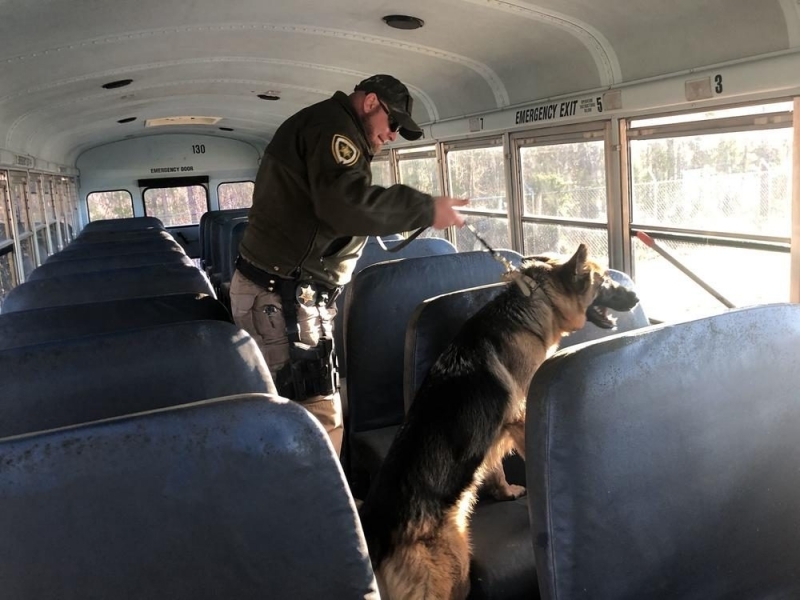 They have already proven to be successful in assisting not only this agency, but all other agencies in Tishomingo County, with detecting narcotics that were not visible or found by the officers. Welcome back Deputy MyNatt and welcome home “Myra”!